Gastroesophogeal reflux disease is often painful, making eating and sleeping difficult. Lifestyle changes can help ease the discomfort, as can medications prescribed by a doctor. Additionally, some people turn to alternative treatments, such as kombucha tea, touted as a way to treat a variety of health conditions including digestive problems. However, there is little research available to verify health claims associated with the drink. Ask your doctor before trying herbal remedies such as kombucha, especially if you have GERD or another health condition. GERD occurs as the result of muscles in the esophagus — the tube that goes from your throat to your stomach — not functioning properly. Normally, the muscles fibers — known as a sphincter — close to block food, liquid and stomach acid from coming back up the tube. With GERD, the sphincter does not close all the way, allowing contents of the stomach to come back up the esophagus. This can cause symptoms that include heartburn, nausea and the feeling that food is stuck in your chest area. Treatment typically consists of lifestyle changes and medications to control the amount of acid in your stomach. In severe cases, surgery may be necessary. Kombucha tea is made by fermenting a flat, pancake-like culture in sweetened black tea. Although the culture is actually a combination of yeast and bacteria, it is often referred to as the kombucha mushroom, according to an American Cancer Society statement about kombucha tea.The kombucha "mushroom" converts the caffeine and sugar to a fermented tea over several days. The fermented tea contains several organic acids, vitamins and enzymes. Proponents of the drink claim it helps treat a variety of disorders, including allergies, cancer, digestive problems, arthritis and many others. Despite the numerous health claims, there are few studies on kombucha to verify its efficacy, according to a 2012 article in "Medill Reports," a publication of the Medill School, Northwestern University. This does not necessarily mean kombucha won't help, but it is a cause for concern because there are reports of allergic reactions and upset stomach associated with drinking the tea. You have to keep in mind that Kombucha is an acidic drink, which may irritate symptoms of GERD, particularly heartburn. However, kombucha enthusiasts still tout the tea's reported probiotic benefits, according to the "Medill Reports" article. Probiotics are living microorganisms similar to the beneficial microorganisms found in the human gut. Kombucha tea, like many alternative treatments or health products, is controversial. Most of the concern centers around the lack of research concerning the drink -- and those concerns are not without merit. 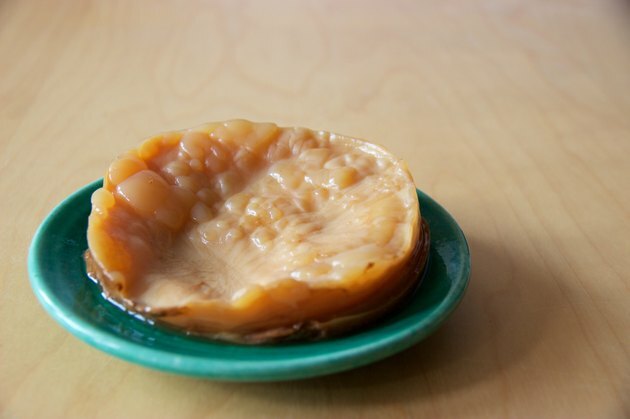 In addition to it being an acidic drink, the possibility of contamination of the kombucha "mushroom" exists, as it is a fermented drink and takes time to culture. Harmful bacteria or fungi can grow on the mushroom. For this reason, doctors may recommend avoiding it. If you decide to drink the tea, talk to your doctor about any possible interactions with medications and stop drinking it if your symptoms get worse. Medill Reports: Kombucha tea: Friend or foe? Seeds of Health: What is Kombucha?